The Skinny: Ambitious, entertaining triad comedy that tries a bit too much, but we should all be grateful for its efforts. Tony Leung Ka-Fai leads an excellent cast in this offbeat genre exercise. Dante Lam returns to Beast Cops territory with this bizarre gangster comedy that goes much further than that film ever did. 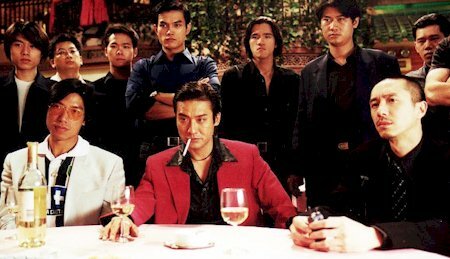 Tony Leung Ka-Fai is triad kingpin Fai, who learns that a contract has been taken out on his head and in 24 hours his time will be up. He spends that time looking at the world around him and evaluating his relationships, including those with his wife (Sandra Ng), bodyguard (Roy Cheung), and mistress (Lee San-San). Along the way there are some wildly hilarious moments as well as some genuinely surprising ones. This treatise of the Triad Underworld is by turns enthralling, entertaining, affecting, and maddeningly uneven. Head writer Chan Hing-Kai and director Lam work overtime to make the film chock-full of quirky comments and biting satire on the life of the triad. The strength of the film comes from this overly postmodern storytelling, but that can be a weakness, too. Quirkiness for its own sake can be too much.